It is hot and sunny here in The Netherlands so I definitely have summer on my mind! 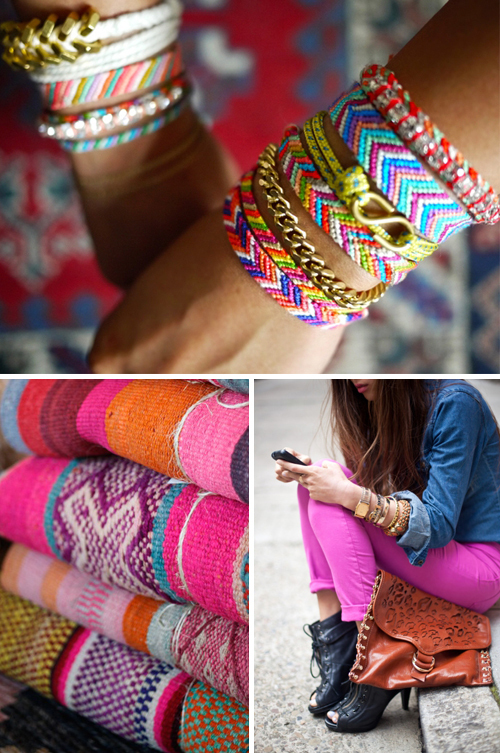 For this type of weather I like bright colored accessories like the ones featured in this ‘summer mood board’. 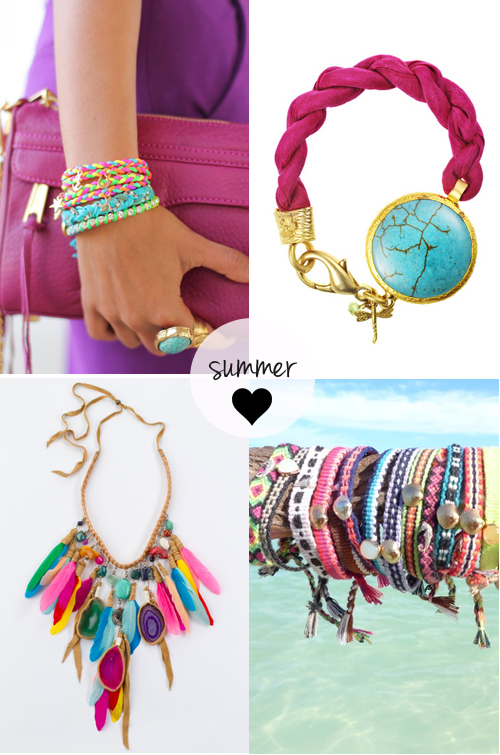 The big stone bracelet is from Le Souk and is available in various summer colors. If you’d like to make braided friendship bracelets like the ones featured above, you can find a good tutorial here. These colors are gorgeous !